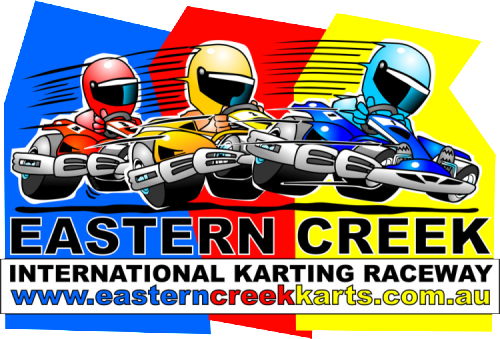 When it comes to entertaining clients and for business “bonding”, Eastern Creek Karts is the ideal venue. At Eastern creek we offer a fun alternative to the corporate golf day. Our corporate clients can enjoy the same thrills as a Formula One driver – including practice, qualifying and racing. All corporate drivers are supplied with race suits, helmets and full race results. Trophies and a photographer are also available by request. Give your clients and staff a day with a difference. Karting is not only fantastic fun – its a great way to promote team building and staff bonding. The Eastern Creek Karting complex offers the corporate sector the very best racing experience at an affordable price. We cater for corporate conferences and seminars with a choice of menus from finger food to full silver service. Your clients and staff will certainly have a high powered experience to remember. The High Octane Gold, Silver and Bronze Grand Prix are a series of quick, head to head races followed by a Grand Final. These events are great for birthday parties, bucks parties, Christmas parties, a work night out or just fun with friends or workmates. OK, so you have tried your hand (and feet) at karting, advanced to our 13HP Sodi RT8’s and posted a top ten qualifying time. Feeling pretty confident, right? Good, because now its race time. Here is your opportunity to step out on an international circuit in a full blown 6-hour endurance race kart, honing your skill wheel to wheel against 20 competitors. This is the ultimate adrenaline rush. Endurance Racing is conducted with teams of 2-6 drivers using the high performance Sodi RT8 Karts. Your friends, family or work colleagues can all join in. The race is run over a six-hour period and the team which completes the most laps within that time is declared the winner. Teams must adopt shrewd tactics to plan pit stops, refuelling, driver changeovers and race strategy. These events are set for 20 or more people and is a team building exercise. You must have a minimum of 10 karts and 2 people per team. The event organiser needs to bring along a list of drivers names with a name for each team and a team Captain for every team. The event can run from 1 to 8 hours. A non-refundable deposit needs to be paid when you make a booking to confirm your time. Final payment is to be made on the day of racing. If you book a certain number of people the deposit will not be refunded if they cancel out or do not turn up. You must pay for the number of people you book for, including the racing and the catering. If you wish to be invoiced, please notify Eastern Creek customer relations host prior to the event. All drivers must be 17years or older and hold a provisional drivers licence.